LPCB certified to EN 12094-1 (the European standard for Fixed Firefighting Systems - Components for Gas Extinguishing Systems) and EN54-2/4, the EP203 three zone automatic extinguisher panel epitomises quality, durability and reliability. Specifically designed for use in areas housing expensive, dangerous or irreplaceable items of equipment, it features an intuitive 128 x 64 pixel display that gives clear and concise feedback to the user, installer and commissioning engineer. It has six monitored inputs (including hold & abort), a time stamped log, adjustable flood times and volt-free changeover relays for fire, local fire, 1st stage active, 2nd stage active, extractor fan and fault. All of the panel's electronics - apart from its powerful 3A EN54-4 switch mode PSU - are mounted on a detachable metal bridge plate for ease of installation. A wide range of ancillaries are also available including remote status units, hold-off & abort buttons, line terminators and relay boards. 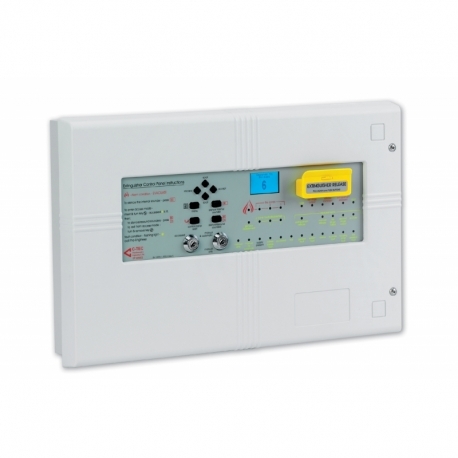 Functions as a standard 3 zone fire panel with additional circuitry for controlling the release of fire-suppressing gas. 128 x 64 pixel display. Any combination of activated zones can be programmed to automatically start the panel’s extinguishant release sequence. Manual release button and two keyswitches. 3 conventional sounder circuits (two x 1st stage, one x 2nd stage). Powerful 3A EN54-4 switch mode PSU. Wide range of monitored inputs and auxiliary outputs. 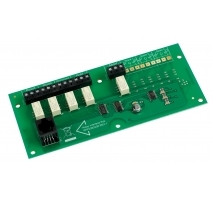 RS485 connections for up to 8 flush or surface remote status units with their own LCDs, manual release and mode switches. Single gang economy status units also available. Wide range of engineering functions. Ideal for use in computer rooms, telecommunication centres, archive storage areas, museums, etc. Approvals/certifications Certified to EN12094-1 and EN54-2/4 by the LPCB (176c) / (0832-CPD-0794). Mains rated current 810mA max. Total output current limited to 1.5A @ 230Vac continuous, 3A peak (ImaxA eq 800mA). Quiescent current 40mA (on mains fail). Zone quiescent 2mA max. Max battery size and type 2 x 12V 7Ah VRLA connected in series. No. of detector zone circuits 3 @ 19-28Vdc (Max. length per circuit is 250m). Max. devices per detector zone 20 detectors (or 32 detectors/manual call points combined). No. of conventional sounder circuits 3 (two x 1st stage; one x 2nd stage). Max. length per circuit is 50m). Max. sounder output current 3 x 200mA. 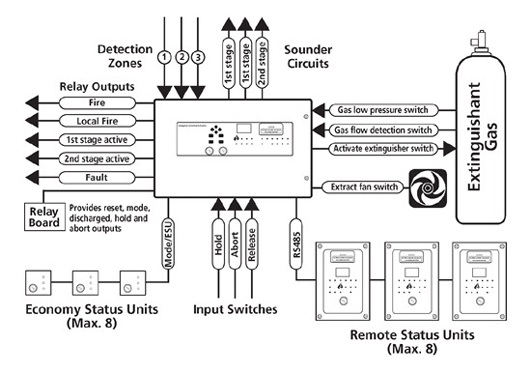 Auxiliary relays Six: (1) Fire; (2) Local Fire; (3) Extract Fan; (4) 1st Stage; (5) 2nd Stage; (6) Fault. Volt free single pole changeover. Max. switch current 1A; Max. switch voltage 30Vdc. Five additional relays available via EP212 relay card. Other outputs Extinguishant release (21-28Vdc, rated at 1A for 5 mins). Programmable to delay by 0-60 seconds; to be active for 1-300 seconds and to flood for 60-1800 seconds. Auxiliary inputs Six: (1) Manual Release; (2) Flow Switch; (3) Low Pressure; (4) Mode; (5) Hold; (6) Abort. 8K-2KΩ normal; 1.8K-200Ω active; 150-0Ω short circuit. EOL value: 6K8 +/-5%, 0.25W. Indicators Multiple indicators are provided - refer to the EP203 instructions for details. Controls Extinguishant release (housed in yellow casing); Accessed keyswitch; Operation keyswitch (Manual only or Manual & Auto); Buttons for Menu; Silence internal sounder; reset panel; silence/resound sounders and scrolling. 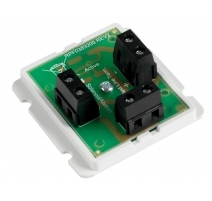 Expansion connections Yes - for up to 8 x Remote status units (2 wire RS485 + 2 wire power) and/or up to 8 x Ecomomy status units (2 wire power + 2 wire mode select). Product dimensions (mm) 439 W x 276 H x 70 D mm (back box); 467 W x 293 H x 29 D mm (lid). Construction & finish Metal back box; metal chassis' plastic lid. Product dimensions (overall): 467 W x 293 H x 85 D mm. Hole required for flush mounting: 440 W x 277 H x 40 D mm. No bezel available. With the growing emphasis on safeguarding property as well as people, the market for automatic fire suppression systems is booming. 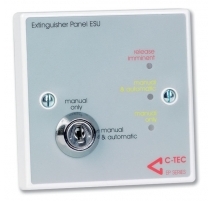 Comprising a third-party certified three zone automatic extinguisher panel and host of expansion ancillaries, C-TEC's EP Range has been specifically designed to meet this demand. Ideal for areas housing expensive, dangerous or irreplaceable items of equipment such as computer suites, libraries & art galleries, telecommunication centres, archive storage areas, chemical plants and generator rooms, it includes a wealth of features, many of which are not available on more expensive extinguishing equipment. 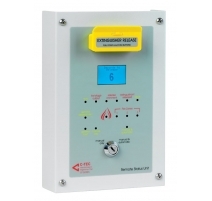 C-TEC's EP203 three-zone automatic extinguisher panel is LPCB certified to EN12094-1 and EN54-2/4. 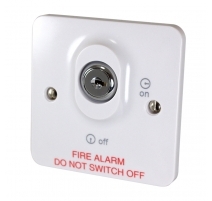 Featuring an intuitive 128 x 64 pixel graphic display that gives clear and concise feedback to user and installers, it includes six monitored inputs (including hold and abort), a time-stamped event log, adjustable flood times and changeover relays for fire, local fire, 1st stage active, 2nd stage active, extractor fan and fault. Elegantly-styled in a durable enclosure, the EP203 epitomises quality, durability and reliability. Need to cover a room with multiple entrances? 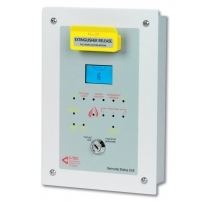 Up to eight flush or surface mountable remote status units, each with their own displays, manual release buttons and mode switches, can be connected to the EP203 control panel via a monitored RS485 bus. Cost-effective single gang economy status units are also available. With so much choice, C-TEC's EP Range is anything but your standard run-of-the-mill automatic extinguisher system. The nature and cost of fire suppressing agents means many installers shy away from extingishant systems with one of their biggest concerns the accidental release of the suppressant in a false alarm situation. Have no fear, C-TEC's IP66 rated Hold and Abort Buttons can be used to delay (hold off) or cancel (abort) the extinguishant release sequence at any time depending on how they are configured. Job done! Whatever type or size of extinguishant system you're installing, our all-encompassing range of conventional devices can be combined to suit. 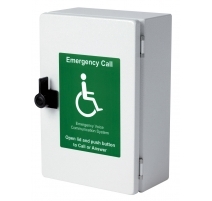 We stock a huge range of versatile and cost-effective manual call points and sounders & VADs.